Tipard DVD to PSP Converter is one professional PSP Converter or PS3 Converter for PSP users. It can convert DVD to PSP MP4, PS3 MP4, even rip DVD to PSP H.264 (.mp4), PS3 AVI... Moreover, it can convert DVD to MP3, M4A, WAV, WMA format with lossless image/sound quality and overwhelmingly conversion speed. Using Tipard DVD to PSP Converter, PSP users can set the output video size, merge several files into one, add watermark, adjust Brightness, Contrast, Saturation, and set Deinterlacing according to your preference. 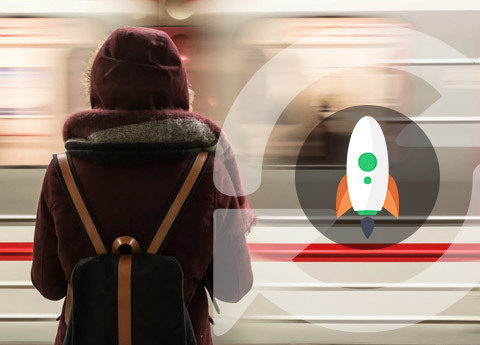 Plus, after comprehensive upgrade, this converter has adopted NVIDIA® CUDA™ technology , AMD APP Acceleration and multi-core CPUs supporting technology, the converting performance is superior than ever before. Convert DVD to PS3 H.264 (.mp4), PS3 DivX (.avi), PS3 DivX HD (.avi), even DVD to WMV and HD WMV. Convert or extract DVD to MP3, M4A, WAV, WMA format with lossless sound quality and overwhelmingly conversion speed. 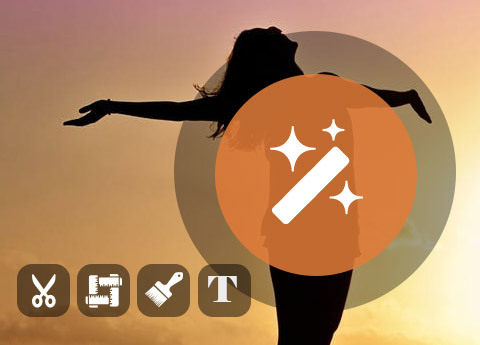 Capture your favorite pictures and it can be saved as JPEG, GIF or BMP formats. You can also set the saved folder or it will be saved automatically in the defaulted folder. You are able to output the same source file to different video/audio formats with only one conversion. Tipard DVD to PSP Converter enables you to adjust video effect: Brightness, Contrast, Saturation. For your adjusting video convenience, you are able to preview the original video and output video quality at the same time. 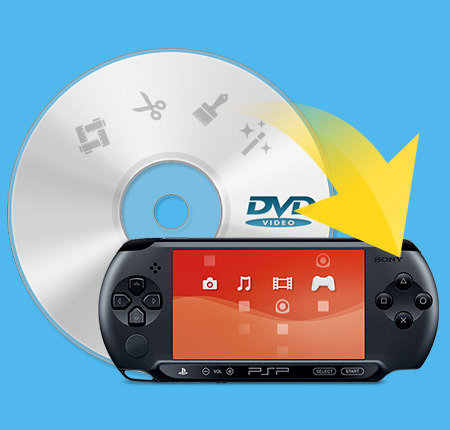 You are available to switch the interlacing video to progressive video for more clearly video quality by checking Deinterlacing with the help of this DVD to PSP Converter. Trim any segment of your DVD to PSP by set the Start time and End Time. Before the DVD to PSP conversion, you can crop off your video size, to crop off the black edge or keep the original file size. DVD to PSP Converter lets you watermark your video by adding Text or Picture watermark, also owns the way to adjust the watermark position in Vertical, Horizontal angle. It allows you to choose the color and the type of your text, even adjust the watermark Transparent. Merge your several files into one for PSP/PS3. Detailed video and audio settings are provided by this DVD to PSP Converter for you to adjust, such as set video Encoder, Frame Rate, Video Bitrate to get customized video quality; Set Audio Encoder, Sample Rate, Channel, Audio Bitrate. You are capable of inputting you need video Resolution in Width (pixels)*Height (pixels), then saved all those settings as user-defined profile. The user-friendly interface makes the operation so easy that even beginners can finish the operation with only a few mouse clicks. Allows you to choose what you want audio track and subtitle, or choose no subtitle based on your needs.